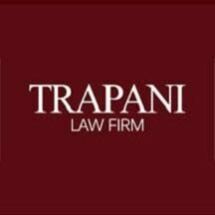 Here at The Trapani Law Firm in Philadelphia, Pennsylvania, we are fully committed to providing the quality, personalized advocacy and support you need to help increase your chances of obtaining maximum compensation for your injuries and losses caused by another party's negligent, careless or unlawful actions. As one of Pennsylvania's largest and most successful personal injury practices, our law firm has six offices across the state, and we have recovered millions of dollars in settlements and awards for our plaintiff clients. Whether your suffering is the result of a car accident, a slip-and-fall accident, an act of medical malpractice or any other type of avoidable tragedy, you can rely on our team of dedicated and seasoned trial attorneys to aggressively fight for your rights and entitlements both inside and outside the courtroom. Recognized for our success, we are lifetime members of both the Million Dollar and Multi-Million Dollar Advocates forums, and we have earned numerous awards and honors from both clients and peers for our impeccable professionalism and ability to handle even the most complex cases efficiently. Dedicated to providing the highest level of support possible, we will gladly come to you if you cannot make it to our office. Our law firm offers free initial consultations, and we work on a contingency basis, so you can discuss your matter and retain the exceptional legal counsel you need with no risk. For more information on how The Trapani Law Firm can best serve you and your family during this difficult and uncertain time, we invite you to call our law office or visit our website to schedule an appointment to speak with one of our attorneys free of charge.